All of Clear Story’s principal team members come from artistic and professional backgrounds that include years of experience working in the fast-paced, detail-oriented, and technically demanding world of theatrical production. From scenic carpentry and personnel management to lighting design and technical direction, Clear Story has led and collaborated on productions that meld the performance of the players with the staged environment to create immersive storytelling experiences. 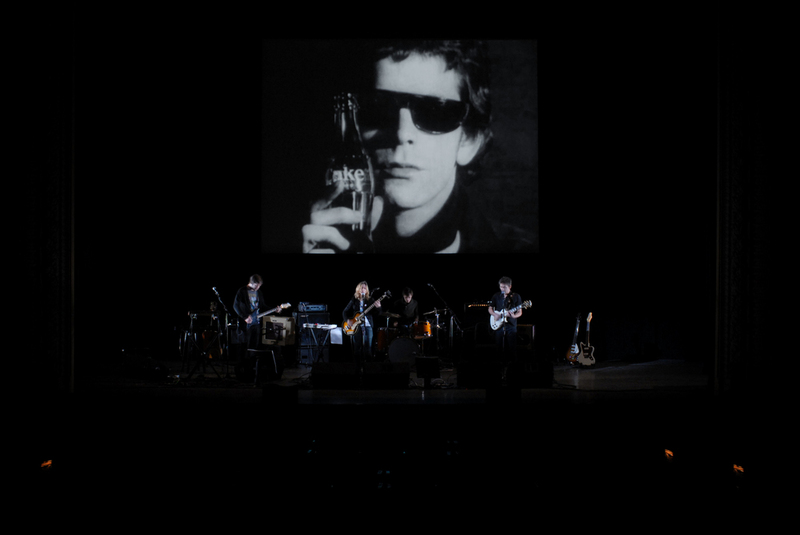 As part of the celebration of the museum’s 20th anniversary, The Warhol presented the world premiere of Exposed: Songs for Unseen Warhol Films in partnership with The Brooklyn Academy of Music (BAM) and UCLA’s Center for the Art of Performance. This performance is comprised of 15 short Warhol films that have been recently digitized by MPC/Technicolor and had not been publicly screened. 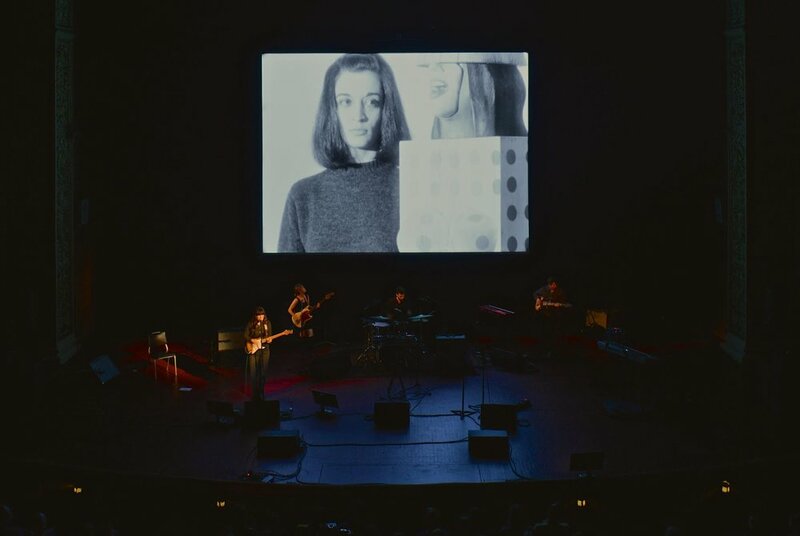 Five songwriter-composers, reflecting the generational trajectory and musical influence from post-Velvet Underground ‘70s through today were selected to write and perform music live on stage. The films chosen are a combination of portraits and actualités featuring Superstars and luminaries such as, John Giorno, Marcel Duchamp, Allen Ginsberg, Mario Montez, Marisol Escobar, Taylor Mead, Jack Smith, Mary Woronov, Edie Sedgwick, and Andy Warhol. Clear Story has been involved in the project from its inception serving as The Warhol’s Production Designers for the premieres in Pittsburgh, Los Angeles and New York City. Clear Story has designed and directed the touring performances of Exposed: Songs for Unseen Warhol Films both nationally and internationally. Link here to the New York Times article. 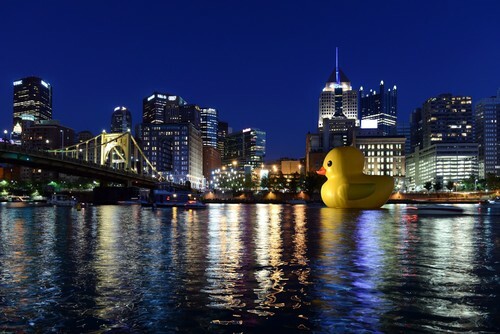 As part of our work as Production Managers for the Pittsburgh International Festival of Firsts in 2013, Clear Story was responsible for all aspects of Florentijn Hofman's Rubber Duck project, as it made its first appearance in the United States on Pittsburgh’s three rivers. 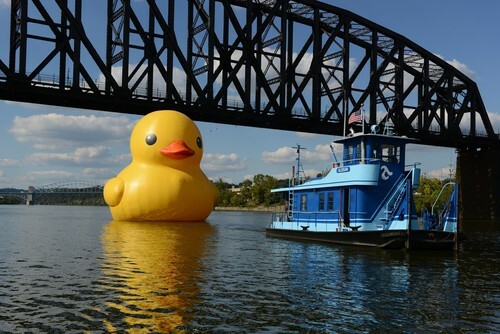 Providing detail-oriented Artistic Production Management services to the Pittsburgh Cultural Trust, our work on the Rubber Duck included all advance planning and site selection, vendor selection and coordination, permitting and approvals from various authorities, technical logistics, launch choreography, and exhibition oversight. 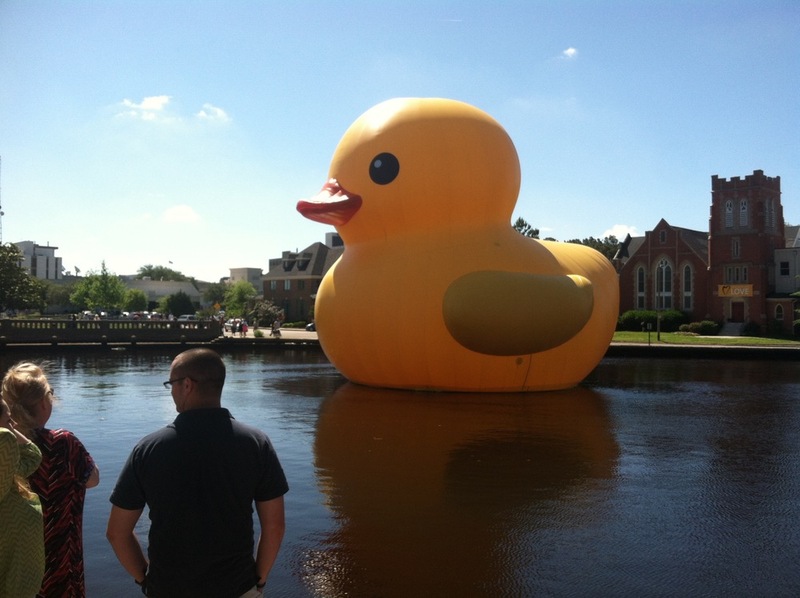 Clear Story even tested the newly-fabricated Rubber Duck on land (in a secret location) three weeks before the launch without detection or leaks to or from the media! 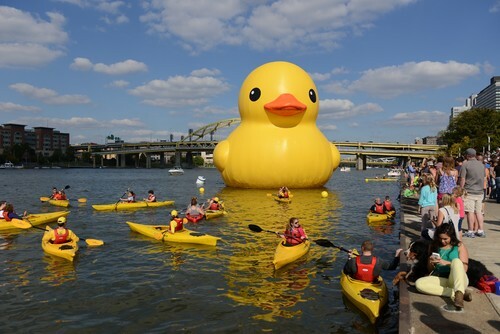 Simply put, Clear Story’s task was to figure out all of the details of displaying the 40’ inflatable duck safely on the rivers of Pittsburgh and execute the project to the satisfaction of the artist, the client, and our audience. Link to the Artist web site description of the project. Link to the Pittsburgh Cultural Trust explanation of the project. 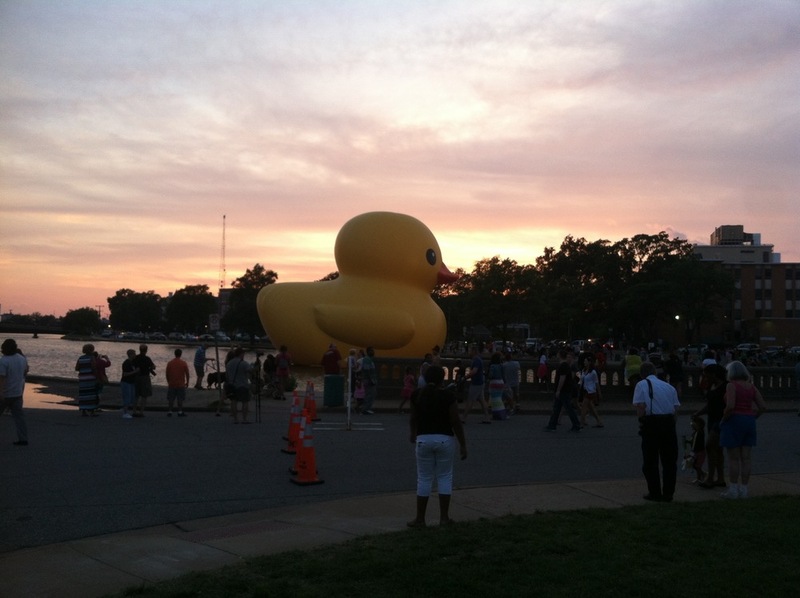 A time laps of the Duck Installation. 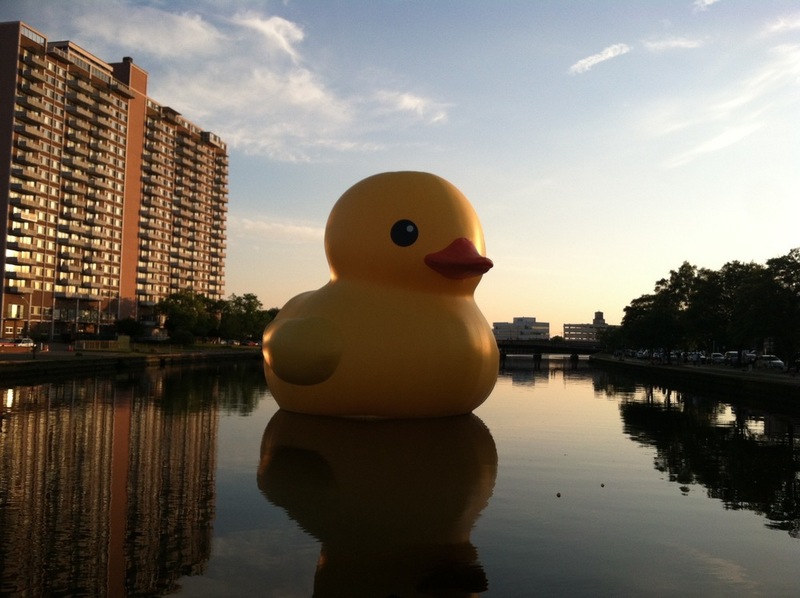 After the success of the Pittsburgh showing of The Rubber Duck, we were commissioned by the Chrysler Museum of Art for their presentation of Florentijn Hofman's Rubber Duck in May 2014. If you'd like more information, please click here. 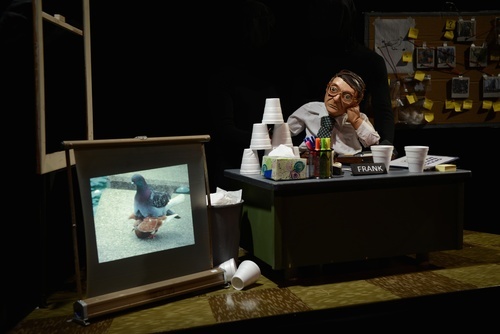 During the International Festival of Firsts, Clear Story provided Production Management for "It's Dark Outside", "Measure Back", "Pigeoning", and "Zimmerman + de Perrot". Here is a short video from It's Dark Outside. Here is a short video from Pigeoning. Here is a short video from Zimmerman + de Perrot. 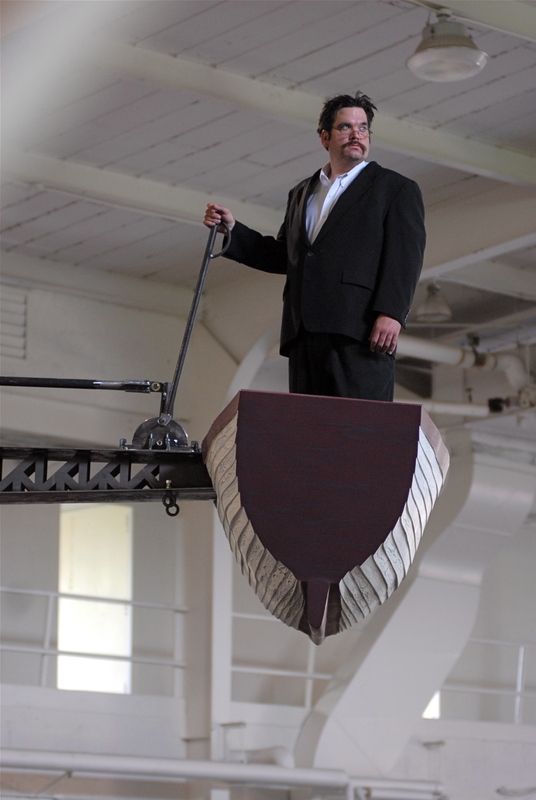 Clear Story worked in collaboration with Bricolage Production Company, Lead Artist Riley Harmon, and many others to create and produce the immersive theatre experience “STRATA” in 2012. 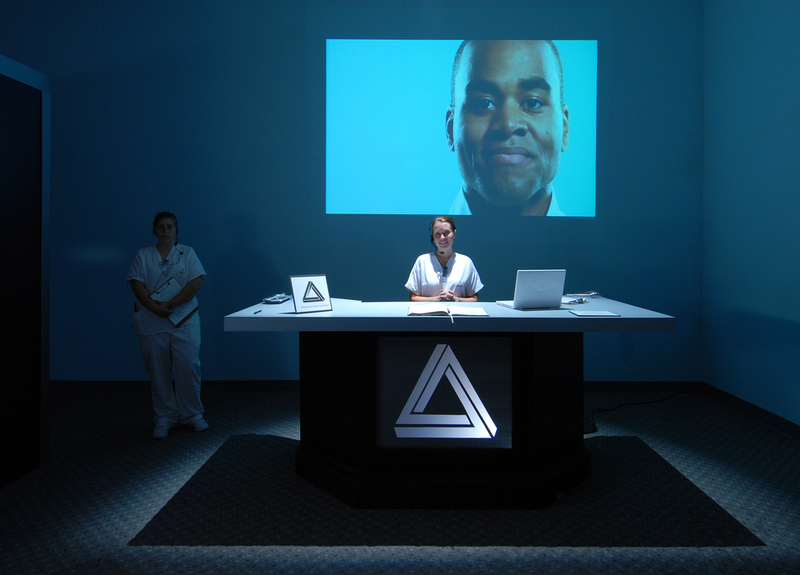 Critically acclaimed in Pittsburgh and beyond, STRATA was featured on the cover of American Theatre Magazine in the summer of 2013, as part of a story focused on emerging trends in immersive approaches to storytelling. Link to the American Theater article that describes Clear Story involvement. Link to the Bricolage Production description of the project. 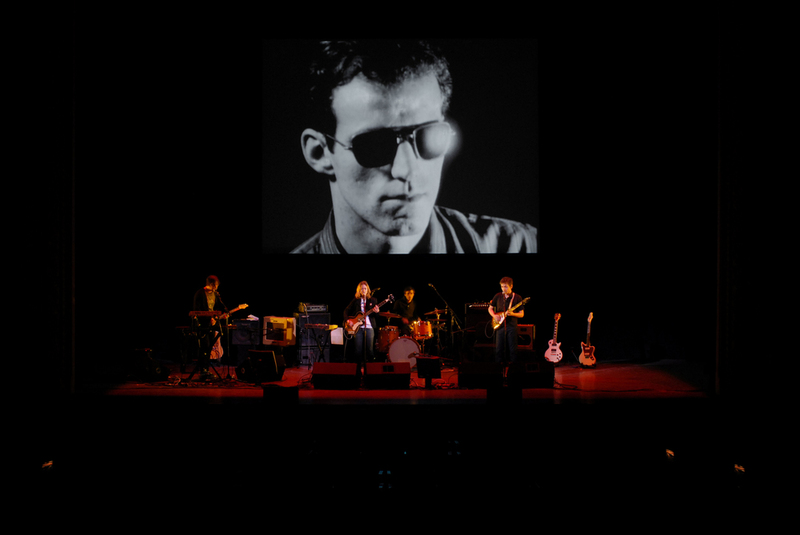 While serving as the Production Managers of the 2008 Pittsburgh International Festival of Firsts, Clear Story also led the original production design and technical direction of 13 Most Beautiful…Songs for Andy Warhol’s Screen Tests, a theatrical cinematic concert featuring a selection of Andy Warhol’s “Screen Test” film series with live musical accompaniment by New York-based musicians Dean & Britta. A total of thirteen four-minute silent “Screen Tests” are projected behind the four- member ensemble as they perform a score composed for each film segment. Since its premiere at the Byham Theatre in Pittsburgh in October 2008, 13 Most Beautiful… has been featured at film and music festivals in the United States, Europe, and Australia. Clear Story continues its role as Directors of Production as the performance travels to venues throughout the world. For every engagement, members of the Clear Story creative team direct the production design and are responsible for the high-quality presentation of the Warhol film projection. A Clear Story specialist travels with the artistic team and implements the production in collaboration with technical crews working at such varied and prestigious venues as the Allen Room at Lincoln Center in New York, the Museum of Contemporary Art in Chicago, the Sydney Opera House, and the Barbican Theatre in London. As of May 2013, 13 Most Beautiful… has been presented in more than 60 venues in 16 countries. Link to the Warhol Museum web site with more details about the project. Clear Story worked closely with a team from the Andy Warhol Museum to design, plan, and produce the museum’s 20th Anniversary Gala in May of 2014. Clear Story responsibilities included the site layout and logistics, staging and production design, and custom video content creation for the event. A Link to the article about the event in NY Times. 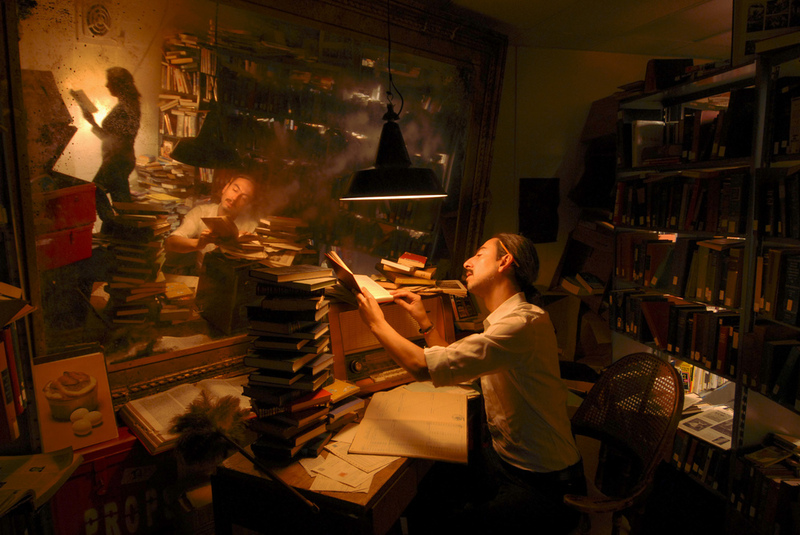 In 2010, Clear Story provided artistic and technical support to artist Alexi Morrissey during the development and World Premier production of his piece, “Take a Letter.” Complex kinetic set mechanics, richly textural set design, a layered text, and emotional powerhouse performances — all conceived by the artist — combined to create a challenging theatrical work with a larger than life sculptural presence. Clear Story managed the production of the Pittsburgh International Festival of Firsts, a city-wide, 16-day performing and visual arts festival featuring exclusive U.S. and World premieres by highly-acclaimed international artists and contemporary performing arts companies. The festival was presented by the Pittsburgh Cultural Trust in association with other Pittsburgh cultural organizations to offer intimate audience experiences at various traditional and non-traditional performance venues within the downtown Cultural District and throughout the city. In their leadership role, Clear Story was responsible for the advance international coordination of participating artists and featured exhibits, as well as the production and management of the festival’s three-week program of challenging performances across multiple venues. 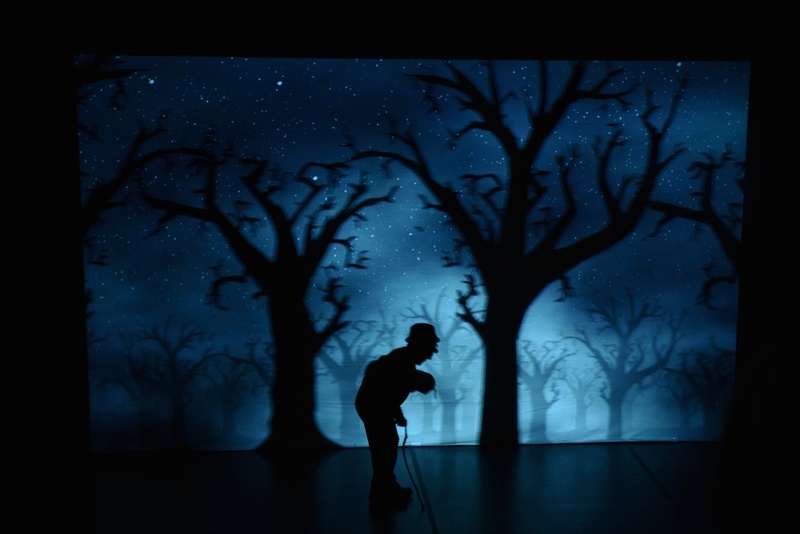 Theatre of the Senses - "The Echo of the Shadow"
The most demanding and transformational of projects during the 2008 Festival of Firsts was "El Eco de la Sombra" by Barcelona-based Teatro de los Sentidos. This innovative company has pioneered an intimate style of "theatre in the labyrinth", through which each audience member travels to experience a personal journey full of heightened perception and self awareness. 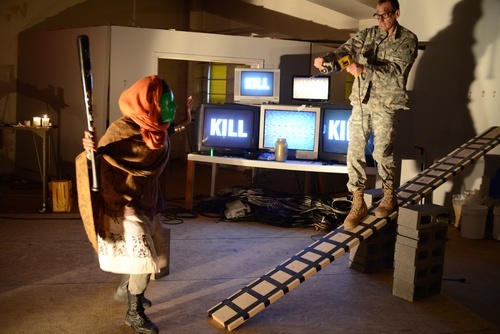 Staged in a former U.S. Military Armory complex, Clear Story collaborated with the company's astute artistic and technical team to develop the implementation plan and facilitate the company's process for this complex theatrical work. This production was critically acclaimed and generally regarded as the standout "theatrical experience" of 2008. Since 2007, Clear Story has led production and lighting design for Hothouse, a summertime fundraiser and benefit party hosted by The Sprout Fund, a Pittsburgh-based non-profit organization. Hosting up to 3,000 people annually, Hothouse featured multiple music and performance stages, tents, booths and other temporary structures housing food & drink vendors, as well as custom-built lighting and projection systems throughout the party’s interior and exterior. Each year, Clear Story collaborated closely with Event Architect Thommy Conroy and The Sprout Fund’s executive staff to source and identify unique transitional development spaces that provide a blank canvas upon which an event like Hothouse could be built. As the firm responsible for all on-site logistics, electrical and lighting systems, set construction and installation, and technology integration, Clear Story worked with property owners and city officials to develop efficient and effective load-in plans, acquire necessary permits and operating licenses. Clear Story also coordinated personnel management of technical crews, design teams, and a small army of event volunteers all working multiple daily shifts over the course of a few weeks to make Hothouse happen. Consistently ranked one of Pittsburgh’s best parties, Hothouse exemplifies Clear Story’s collaborative approach to event production and project management, as well as the firm’s creativity and resourcefulness when designing and producing unique visual and spatial experiences in challenging environments. 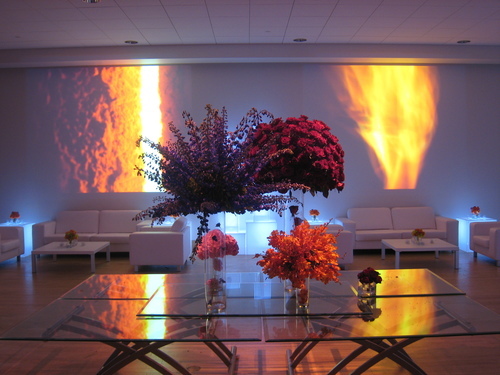 Clear Story was commissioned by The Event Group to customize the special events space at Phipp's Conservatory and Botanical Gardens for Chihuly Gala - Gardens & Glass in 2007. This event featured an exclusive reception with the renowned glass artist, Dale Chihuly. Clear Story created an abstract video installation that expressed the elemental qualities and handmade approach to the glass-making process. To reflect the rich colors inherent in the artist's work - and to simply reduce the intensity of the prevailing daylight during the early evening event - Clear Story designed and installed a temporary installation of ultra-saturated color film on the windows of the space. This playful and dramatic gesture transformed the space, and the colors combined to create a radiant hue that enveloped the crowd.